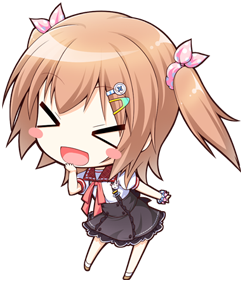 Hey Hemi-tan, ECO open beta is coming out on September 30th. You may now go back to hyping yourselves up. It also seems that there’s a event called “Who is Blogging ECO?” with a prize of in-game credit. I guess I am, although I’ll be forcing Zen to write later on. There is a lot to do in ECO, so I’ll explain a bit about what happens at the beginning. In addition, I’ll talk briefly about the game system and mechanics, as well as some of the distinctive features, including the marionette and possession systems. 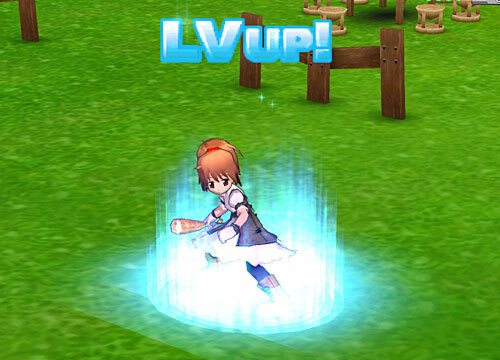 In ECO, in addition to players’ appearances and skills (from jobs), the assignment of stat points contributes greatly to the development of a character. Depending on the type of character you wish to make, everyone will inevitably have different stat builds. There are 6 main stats: STR, DEX, INT, VIT, AGI, MAG. I will explain what each stat effects, outline the substats and describe status effects as well. The ECO client (~1GB) is available for download! I recommend using FlashGet and either mirror #2 or #3. They were pretty fast and it took around 4 hours for me. Installed it and started up the client…. Ahhh, how nostalgic! 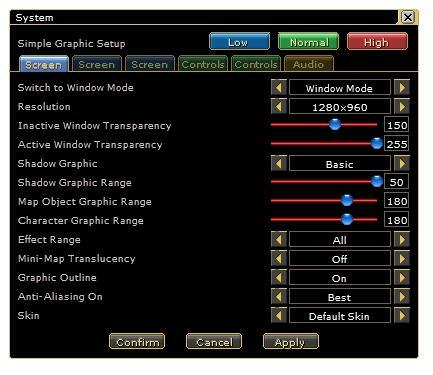 I immediately set up my settings (I prefer windowed 1280×960). For Vista users, remember to give yourself ‘modify’ priviledges for the ECO folder so you can save your settings and screenshots. Meanwhile, I’m listening to the BGM tracks. The registration for CB has also begun. Make sure you register for both a Run-Up Games account (I signed up at the Malyasian site) and ECO account. They need to be linked. If you signed up for ECO on the game site, you will have to login to your Run-Up Games account and click on the ECO icon and then register the existing account by inputting the game ID and password. Alternatively, you can apply for an ECO game ID directly from the Run-Up Games site. 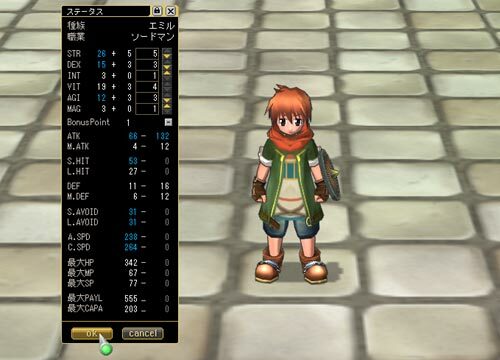 The English version of Emil Chronicle Online (ECO) is finally coming out! Run-Up games have announced that closed beta will begin in Malalysia/Singapore on July 8th and it should be open to anyone who wishes to play. It’s been a long time waiting (4 years in total), but it’s here! It seems like they’re going to start at Saga 3 with the Dark Castle. I know I said I wouldn’t play another MMO, but I’m going to play casually. 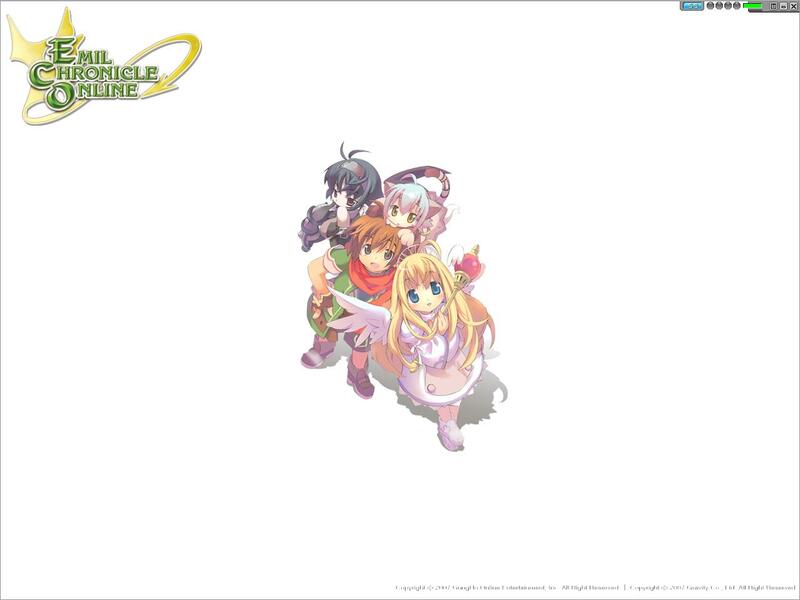 ECO is a Japanese 3d cel-shaded cute (but grindy) MMORPG produced by GungHo/Broccoli/Headlock. 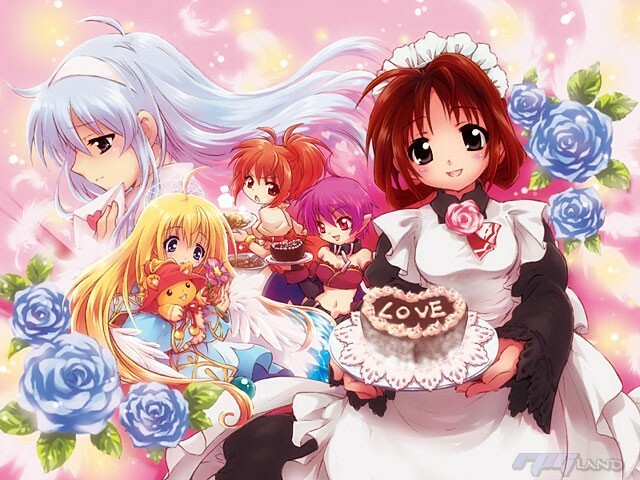 The game system is similar to Ragnarok Online, but is better in many aspects. In addition to full sprite customization, there is also a possession and marionette system which are very useful for combat and partying. 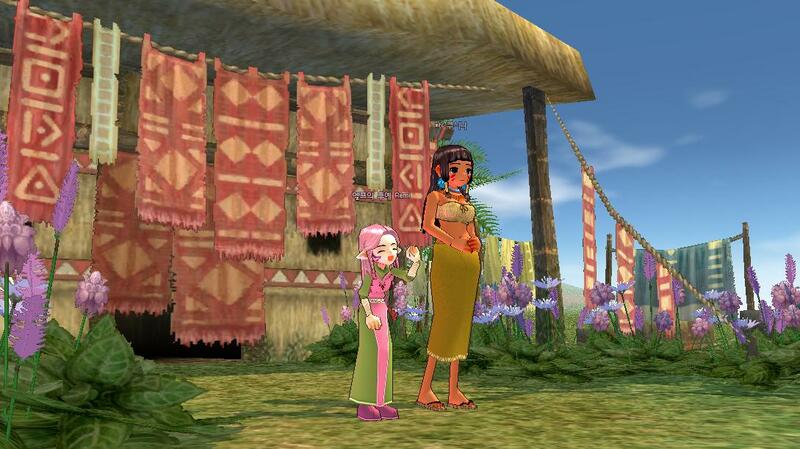 I played ECO when it first came out in Japan and it was one of my favorite MMOs. The only problem was that my friends could not share in the fun since they didn’t understand the language. 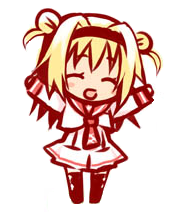 However, with the English release, I hope that we will have a fun time in this heartful MMO! I’ve written a post before on ECO that explains some aspects of the game, and also contains screenshots. So please do check it out. For this post, I’ll write a bit on the 3 races and 12 basic jobs in the game. Hopefully this will increase your interest in the game. 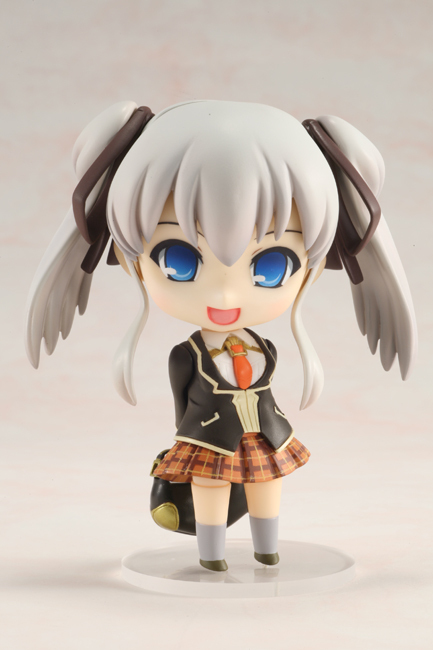 Nendoroid Nao – Staccato Ver. 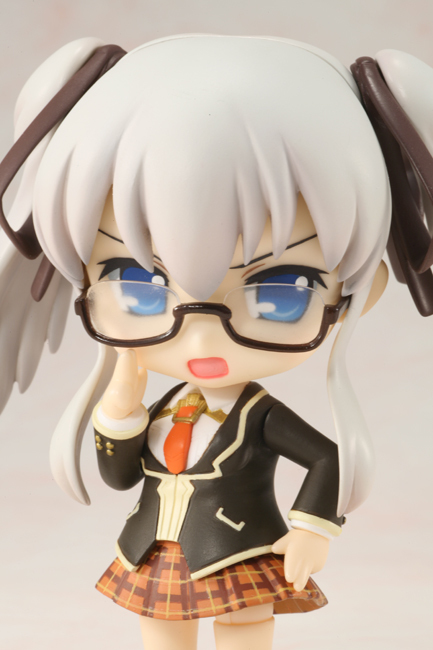 Good Smile Company made another Nao nendoroid… this time it’s the Mabinogi Staccato version and is a collaboration with Dengeki Hobby! 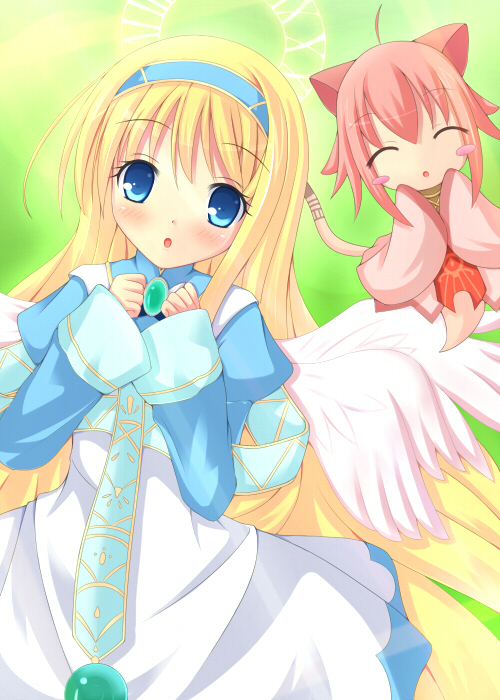 I’m sure you all know that Nao is the mascot from popular MMORPG Mabinogi. 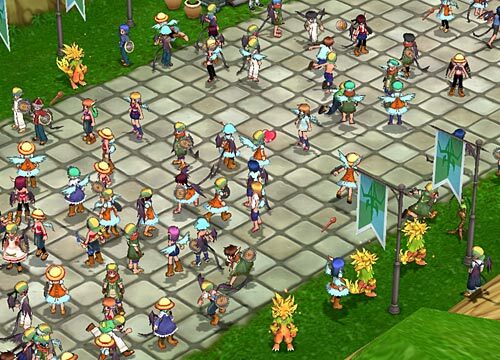 Mabinogi Staccato is a 2008 collaboration project between Nexon Japan and Dengeki. This is an exclusive figure and you need to buy this month’s Dengeki Hobby magazine to obtain a preorder form which must be completed between May 25th and July 15th. I’ve heard some people have found ways around this though. 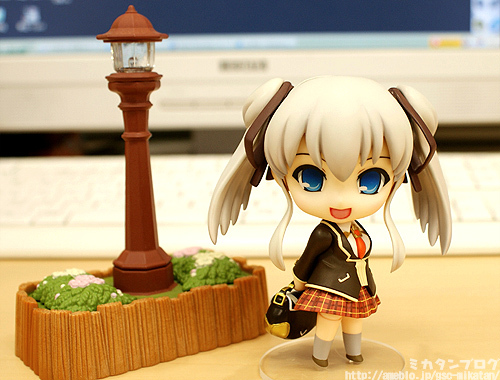 Nao stands 100mm tall and costs 3000 yen. The release date is in November. 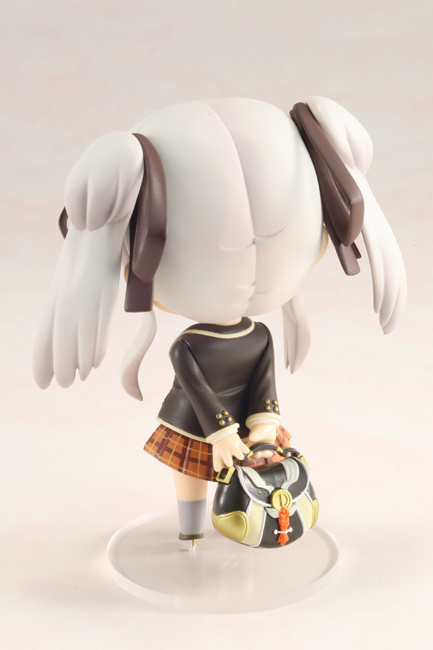 As usual with nendoroids, the parts are interchangeable with other nendoroids. 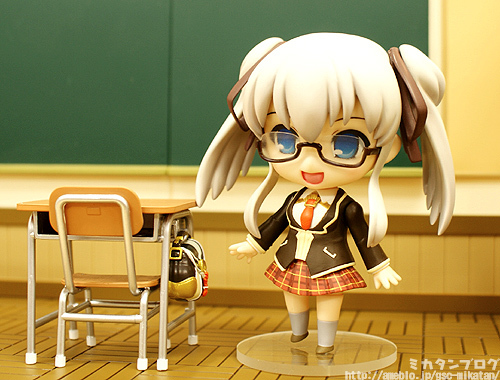 She comes with glasses and a bag. 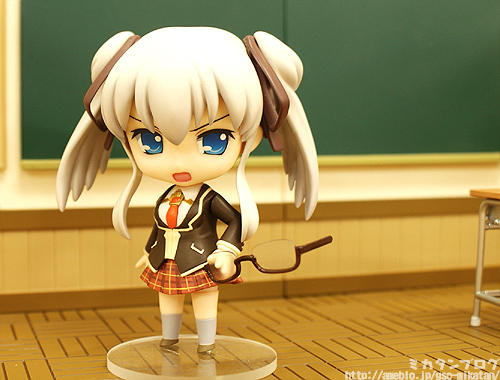 More pictures can be found on Mika-tan’s blog at Good Smile Company. 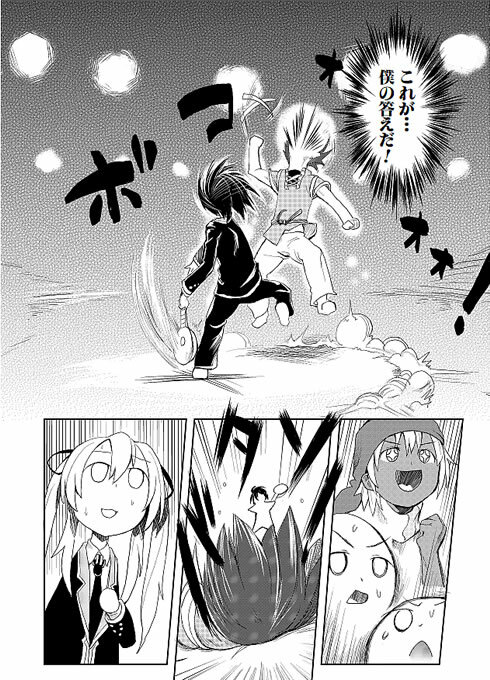 Mabinogi Staccato is a manga based off Mabinogi by Tamon Yoshiyuki that ran in Dengeki Maou magazine. It is a love comedy in a school setting, but with familiar characters from the game, such as Nao, Lorna, Pan and the whole Tir Chonaill cast. 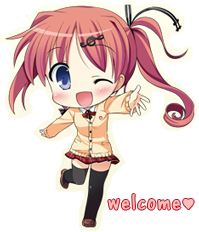 The main protagonist is Irio, along with Nao, a tennen girl who loves him. Then, suddenly a succubus by the name of Sharuru appears and kisses Irio in front of Nao! The first chapter of Mabinogi Staccato is available from the Dengeki’s website. I should go buy this. There is more to Chapter 2 than just Rano, Connus and Physis! While it is unlikely that the next patch, G7, will come soon after this sizable patch, there is still lots more to look forward to in the upcoming months. Please remember that the addition of content from this overview (specified from the last 6 posts) is subject to Nexon NA’s discretion. Content from G7 will not be implemented in this patch.